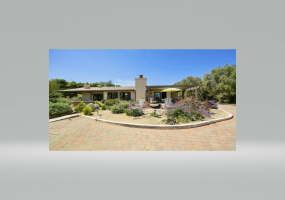 Serene and secluded this hacienda estate is situated on one of Encinitas best streets. A true sense of peace awaits you as you arrive and are greeted by spectacular bluff and canyon views. Charming single level is resplendent with southwest details throughout and features a highly upgraded kitchen with top appliances that opens to family room and outdoor living areas. Rebuilt from the studs by a professional designer this amazing unit offers a kitchen with finishes special to the space. Glass and metallic tiles frame the Quartz counter tops as well as the hardwood flooring. 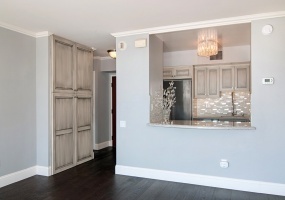 Custom grayscale cabinets with glass knobs feature extra storage for this amazing 2 bedroom 2 bath unit. Casual yet sophisticated Gated Ocean View home on a huge lot. Newly built in 2007 the homes offers Bamboo floors and Reeded glass doors everywhere. The large open kitchen adjoins the great room with breakfast bar, maple cabinets ,and huge pantry. Surround sound throughout the house and spacious bonus room upstairs with wet bar is adjacent to large ocean view deck . Incredible opportunity in Old Carlsbad!!! Private, quiet location on south end of Highland Dr., large home in need of some updating. Mid-century design, plenty of potential. Combine the proximity to the sand of Windansea Beach -the ability to walk to La Jolla Village then add a large useable yard and pool area and you have it all!Overlooking surf views this property offers ocean from almost every room. Hard to find all this and still be steps to the beach in lower Hermosa. The absolute best value for the quality of home in CityFront Terrace. Completely rebuild with every room and surface professional designed. Priced to sell quickly this is perfect blend of sophistication and whimsy! Chef's kitchen offers unique arched bar with Quartz counter top. The back splash features designer glass and metallic tiles. Plank wood floors throughout framed with crown molding. 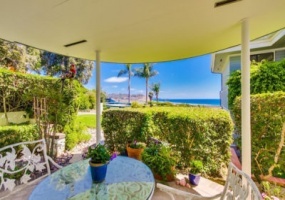 Located on "Horseshoe Beach" an isolated section of shoreline south of downtown La Jolla-this designer unit was literally remodeled and"re build" by present owners. Featuring disappearing windows that open the home to walls of ocean and wide sandy beach. Everything done to perfection including re configured walls to allow for extra large doorways. The upgraded view home offers recently installed Maple Espresso Wood floors that flow throughout the home combined with Designer Slate Flooring. The living room has spectacular views and opens to a surf view deck. A custom fireplace is positioned perfectly for watching the flames as well as the ocean! Four patio/deck outdoor spaces overlook either ocean views or privacy landscaping walls. Rarely does a property come along with the quality and upgrades of this home. Ocean views from amazing yard, kitchen FR, dining room and upstairs master. Professionally landscaped the yard with over sized spa, Built in BBQ and trailing vine trellis is magical. Plank floors throughout frame the crown moldings, decorative tiles, and custom cabinets just a few items to delight any buyer. 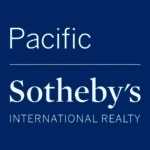 Located in best Mission Valley location close to Fashion Valley, San Diego Bay, Shops, Restaurants and minutes to downtown San Diego and Old Town. this is best value in one of San Diego’s most popular areas! Bright and airy this unit is on lower level right across from pool and BBQ area. The building that has it all! Sophisticated with modern edge this "water view" unit offers scenic vistas from every window! The floor plan is open with 2 bedrooms and 2 baths.